Christ Episcopal Church, East Main Street, Sackets Harbor, built circa 1820. East Hounsfield Christian Church: its history, location map, photo, and aerial view, contributed by Mark A. Wentling. 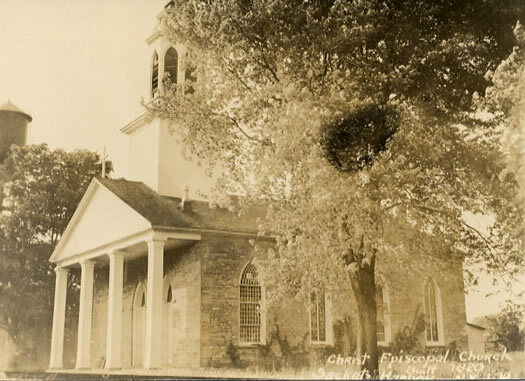 Sackets Harbor Christ Episcopal Church: its history and founding members, contributed by Mark A. Wentling. Sackets Harbor Presbyterian Church: its history, trustees, and centennial celebration, contributed by Mark A. Wentling. Sulpher Springs United Methodist Church: its history and members, contributed by Mark A. Wentling.